Society of 40 persons dedicated to restoration of 1860's Hargraves Courthouse complex. 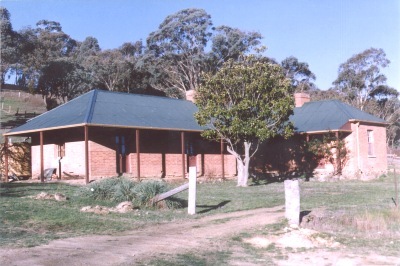 Large triple solid brick courthouse and living quarters, semi attached via enclosed walkway, vertical iron bark slab kitchen (now fully restored), detached vertical slab laundry and large separate horizontal slab stables building. An 1860's public toilet is expected to be operational later in 2002. 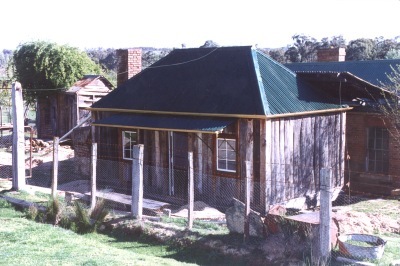 Hargraves is the site of the first underground gold mine in Australia, founded 1854. In addition to the buildings described above, the society has amassed a large collection of old photographs depicting the Hargraves village, villagers and mine operations from the period about 1875 to 1930. Slab dry, built adjacent to courthouse. Stamp battery sand floor, copper and fire place with chimney. Ina state of near collapse. Society is replacing corner posts and bed logs this year in order to prevent collapse. 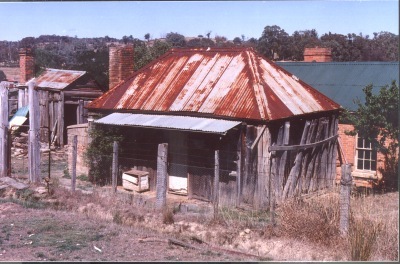 The stables were used for housing the police horses during the period when considerable numbers of police were required to control the large number of alluvial and underground miners working tin the area. The slab kitchen is understood to have been the first building on the site. The only timber not hewn by broadaxe is the internal lining which was added later. This building, close to collapse in 1985 has now been fully restored by the society. Courthouse built in two stages. 2nd stage extension added courtroom and original quarters became visiting judge's quarters. 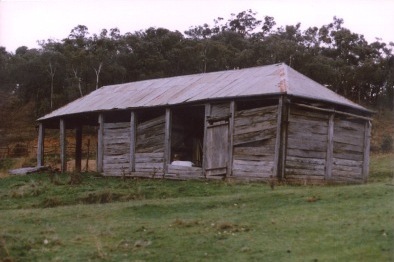 Original building had wooden shingle roof which was later covered with corrugated iron.